Oktoberfest Cigars are available at Nottingham Cigars & Pipes! Oktoberfest is a legendary annual event and a celebration of German, and specifically Bavarian, culture. It has been held for more than 200 years and it is estimated that almost seven million litres of beer were consumed at the 2007 festival held in Munich. But Oktoberfest isn’t just about beer anymore. 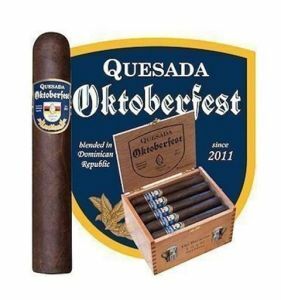 Oktoberfest cigars were blended specifically to pair with everyone’s favorite libation: beer. The result is an all-Dominican blend concoction that marries particularly well with European-style beers, India Pale Ales, and anything with an extra touch of hops.